Laura Ingalls Wilder's Little House books have been loved for generations. Now, this captivating tale authorized by the Ingalls estate vividly depicts the beauty, hardship, and joys of the frontier. In February, 1870, packing what they can carry in their wagon, Caroline and Charles Ingalls, and their little girls, Mary and Laura, leave the Big Woods of Wisconsin for Kansas Indian Territory-a land of promise and peril. Pioneer life is hard for a pregnant woman with no friends or kin to turn to. Burdens are shouldered alone, sickness tended without doctors, babies birthed without help from mothers or sisters. 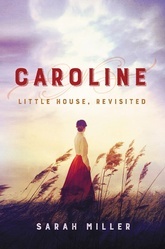 To adapt to this strange place and transform a rough log house into a home, Caroline must draw on untapped wells of strength.